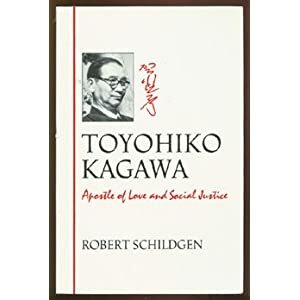 When Toyohiko Kagawa was asked to come and speak to the seminarians at Princeton–one of his alma maters–he went willingly and eagerly.Toyohiko had been displeased with much of his own seminary experience because he found that the students there were far more interested in arguments, rhetoric, persuasion, and the fine points of doctrine and textual study. He repeatedly begged them simply to live out what Jesus had taught in the parable of the Good Samaritan. He knew he was asking for much of the seminarians but he hoped that they would–as far as people go–be the most likely to answer a call to genuinely and sincerely practiced allegiance to Jesus as Lord and Savior. When he finished speaking to the assembled Princetonians he accepted some questions and then dismissed them quietly and gathered his things from the podium. As he was doing so, two ofthe seminarians turned to each other in their seats and discussed his lecture. One insisted that it had not been quite what they had expected from a man who was so well respected around the seminary. Turning to his friend, he quipped, “He didn’t have much to say, did he?”They shared their own little laugh knowing that they were better educated than Toyohiko but not knowing that they were still fools. Both of them had heard of his background and how he had been the illegitimate child of a powerful Japanese man and a geisha. He was hated by his mother and liked by his father but soon both his mother and father had died and he was orphaned. He was given over as the ward of the widowed wife of his father. She and her mother struggled not to resent little Toyohiko because it had not been his decision to be a child of infidelity but they failed in their struggle and Toyohiko knew he was hated by them. They sent him away to a boarding school. He began attending a bible study given by a Christian minister so that he could learn and practice his English. Yet while he was learning the language, he was hearing and considering the truths and teachings of the Faith of the minister. When he was a teenager, he converted to the Christian Faith that had gripped him by the heart over a long time of reflection and meditation. Soon after this conversion he knew clearly that he would be a minister of the Gospel that had spoken to him when hehad walked in darkness, desperation, and death. 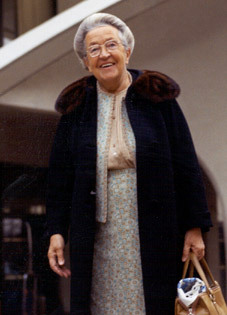 When Corrie ten Boom heard the knocking at the door she checked to make sure that the family was ready for her to open it. This was a habit–and a good one–because they never knew who might be standing outside their door in Haarlem, Holland, in the year 1942. The Nazis and their brutal gestapo were always keen on surprise searches and raids. So, a family like Corrie’s knew that they should tie down any loose ends–or visible refugees–before they opened the door. The challenge was, of course, making sure that there wasn’t much hesitation in answering the door, however, because the Nazis were always looking for an excuse to rationalize their violating searches. Casting glances around her–while her family did the same–she decided that they were ready for whoever might be on the other side of the door. As the door swung open and obscured her view she readied herself to be courageous and to stand by her faith regardless of who waited for her on the threshold. As her expectation turned to vision, she was glad to see a finely dressed woman in traveling clothes with a briefcase. She didn’t need the woman to tell her what she was there for but she knew it was important to the woman to say. The woman told Corrie that she was a Jew–quietly so that any nearby informants might not have cause to run to the Nazis–and that her husband had been arrested by the Nazis. After finding a hiding place for their son she had left the watchful eye of her city’s predators and arrived at the house of Corrie and her family seeking refuge and a sanctuary. Corrie led her inside without a moment’s hesitation. Corrie and her family were committed to offering a haven of protection for those that the State despised and abused. They had given refuge to Jews and members of the Dutch resistance for over two years by the point that the young woman arrived on their doorstep. They had a special place in their home–a small room accessed in Corrie’s closet–where those that the Nazis pursued could hide when they inevitably came looking. Otherwise, they were the honored guests of Corrie and her family. They observed the Sabbath with their guests and kept their kitchen kosher so that they might not present any problem to those the world called refugees and they called brothers and sisters. Their Christian convictions led them to understand the Jews as their kin and family–the chosen people of God to whom they had been joined by their faith. However, as this heroic work continued they were presented with a challenge. The members of Corrie’s family each had a ration card but none of the Jews were ever given ration cards. This meant that they had a limited amount of food for an increasing number of people. They shared what they had but it wasn’t enough. Corrie, who was known to say not only “Let God’s promises shine on your problems” but, also,”Never be afraid to trust an unknown future to a known God” went at night to a man who was a government employee and was connected to the ration cards. Corrie had once cared for this man’s mentally handicapped daughter and had even run a special Church service for the girl and others like her. She had shown love and kindness to another of those whom the world avoids and fears and in doing had shown God to the girl and her mother and father. She knocked on his door and began to tell her story but eventually he cut her off because he knew what she must be preparing to ask him for. He asked her how many cards she needed. She had been planning on asking for five because that would have made the situation at home much easier. But, then when she went to say how many she needed she realized that she had an opportunity to expand her family’s ability to protect those they loved.She asked for one hundred and received the man’s help with some hesitation. Eventually, their goodness became public knowledge and shortly thereafter a Dutch informant sold them out to the Nazis. The Nazis raided the house and took the family captive along with all their beloved guests. Corrie and her family were sent to Scheveningen prison for their efforts and her already ailing father died only ten days into his captivity. Corrie’s nephew, brother, and younger sister were all released after some time in prison but Corrie and her older sister were transferred first to Vught concentration camp and finally to Ravensbruck. Corrie’s older sister died at Ravensbruck but, perhaps sensing Corrie’s growing desperation, she told her: “There is no pit so deep that God’s love is not deeper still.” Inspired by her sister’s faith, she continued offering comfort and solace to those she was captive with until she was released–because of a clerical error–on Christmas Day in the year 1944. They had not meant to release her but they did and so she was spared the death that was scheduled for her in a week’s time. Perhaps the most shocking moment, though, came two years later when she was in Germany and brought face to face with one of the guards from Ravensbruck. She was immediately furious with him but this would not last. Instead, she reminded herself of her call to love and forgive even her enemies and that “Forgiveness is an act of the will, and the will can function regardless of the temperature of the heart.” She forgave the man and held his hands and prayed for him. She would look back at this event for the remainder of her career as a speaker and storyteller as the one moment when she most felt the love of God surging through her. In that moment, she had slipped the bonds of broken sinfulness and attained to the great calling that Jesus had placed upon her life: to redeem a broken and sinful world by laying down herself and loving others. The monks must have balked at first at Isaac’s strange instructions–did he really think it was wise to leave their gardening tools out in the garden at night?”Surely,” they said one to another, “he must know that thieves will come and steal them.” But Isaac’s story had earned their obedience even if it seemed a ridiculous instruction that almost certainly meant trying to garden without their tools in the days to come. They did as they were instructed because they had grown to trust Isaac completely and had, in fact, left their previous lives behind simply to be his disciple after hearing stories about him. Many of them had first heard of Isaac shortly after his arrival in Spoleto, Italy. He had traveled from far away and when he arrived he requested from the local officials at the cathedral that he be allowed to stay in the cathedral as long as necessary to make his prayers and to give thanks to God. When they consented, he went about his prayers with a fervor that was at first charming but grew tiring for the men in charge of the upkeep of the building. When he had been there for nearly sixty hours, one of the men had had enough of what he believed to be Isaac’s hypocrisy. The man reasoned that Isaac was attempting to gain favor with other worshipers by faking a devout prayer life all while keeping a roof over his head. So, the man approached Isaac to tell him to leave and not to pester anyone else. The audience in Mason Temple was justifiably enraptured as Martin Luther King, Jr., preached yet another griping and inspiring sermon. As he moved to conclude the sermon his mind–and the minds of the audience–were drawn once again to the weapons and bombs that were threatened and used against them.Martin’s flight to Memphis for this cause had been delayed by yet another bomb threat.He concluded the sermon, “We’ve got some difficult days ahead. But it doesn’t matter with me now. Because I’ve been to the mountaintop. And I don’t mind.” As the imagery settled, he continued: “Like anybody, I would like to live a long life. Longevity has its place. But I’m not concerned about that now. I just want to do God’s will.” This would prove to be a dark foreshadowing of the limited time left on earth for Martin. He finished”And He’s allowed me to go up to the mountain. And I’ve looked over. And I’ve seen the promised land. I may not get there with you. But I want you to know tonight, that we, as a people, will get to the promised land. So I’m happy, tonight. I’m not worried about anything. I’m not fearing any man. Mine eyes have seen the glory of the coming of the Lord.”With these words, Martin ended his sermon and went back to room 306–a room he had stayed in often–at the Lorraine Motel in Memphis. Martin led countless individuals in the struggle for civil rights in the United State of America. He was one of the founders of the influential Southern Christian Leadership Conference (SCLC) and gave direction to people looking for a way to resist the powerful and abusive parts of the American power structure. They marched and met and slowly raised the consciousness of the American people in relation to the struggle that they were undergoing simply for equality and justice. 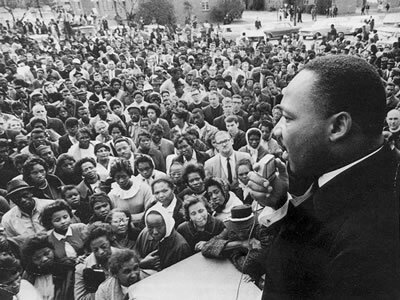 One of the foundational tenets of Martin’s leadership was the philosophy of nonviolence. This philosophy led to many sit-ins and passive forms of resistance which proved to be esspecially powerful in a nation where media were looking for a story. He drew the inspiration for how he might best resist nonviolently from Jesus, Gandhi, and the writings of Howard Thurman. With each nonviolent protest, they were met with violent opposition from those who hated their very existence. They absorbed the wrath and evil intentions of their enemies and offered them something resembling love and forgiveness in return. As the violence escalated, Martin and those who followed after him suffered even more. But the power was found in the increased awareness of the rightness of their side and the wrongness of their enemies as their enemies perpetrated great evil in an attempt to remain powerful. In other words, the nonviolent protest of Martin and his people provided a canvas upon which the inherent, institutional evil could take form and be recognized. With every blow and wound they received they gave witness to the evil that motivated such injustice. The following is a liturgy/guide that was written by Joshua for the service of worship and prayers held at Grace and Main Fellowship on April 1, 2012. It was also posted at the site for Third Chance Ministries. On this sixth and final Sunday in Lent, let us remember that the word the crowds yelled as Jesus and his disciples entered the city of Jerusalem was “Hosanna.” This word means “save us” and could be the word that we use roughly 2,000 years later to call upon this same Jesus to be Lord of our lives. But, we cannot and should not forget that it was only five days later, on the day we call “Good Friday,” that Jesus was crucified and killed. Oh, how quickly “save us” can turn to “leave us alone.” This has been the story of the scripture from creation until this pivotal week that we have entered again today. Today, we begin the Christian celebration of Holy Week on the day we call Palm Sunday and Passion Sunday—for there is so little separation in our hearts between devotion and treason. As we light this candle to symbolize Jesus’ presence here with us in worship, let’s take a moment to say “hosanna” in our hearts and humbly to welcome Jesus into the place to teach and guide us. Even as we journey to the cross : let us raise our voices in song. The stone that the builders rejected has become the cornerstone. This is the Lord’s doing; it is marvelous in our eyes. Karol loved soccer. He loved it enough that he took any opportunity to go and play it with his friends. In many ways, it was a type of escape for young Karol who had lost his mother one month before he turned nine-years-old and had lost his brother and his sister long before he had left childhood behind. Though life was hard for young Karol in Poland he found comfort when he was playing goalkeeper in the games that he and his friends were able to play. It didn’t make the pain go away but it gave him something else to care about for a little while. It helped that Karol was an able goalkeeper and often asked to play as one. In the part of Poland that he was raised in there were many Jews and Karol was friends with their children. Many times the soccer games were devised along religious lines: a team of Roman Catholics versus a team of Jews. They would play their competitive but friendly game and Karol was always quick to volunteer to be a goalkeeper for the Jews if they couldn’t find one or didn’t have enough players. This attitude–this reaching across lines of religious difference–would continue in Karol’s life even when he began to be known as John Paul II. Karol’s love for his brother–perhaps brought about by the tragic loss of his immediate family–was not bound up in labels and restrictions. When Hitler and those who committed atrocities with him swept into Poland Karol was attending university and doing well in his studies. Yet, soon the Nazis shut down the university and forced all of its male students to work in the jobs to which they were assigned. While he refused to take up a weapon or commit violence he was forced to serve as a manual laborer in a limestone quarry among other things. In 1941, when Karol was only twenty years old, his father died and Karol was suddenly without any immediate family. In the wake of his father’s death he began to hear a still small voice whispering quietly of a calling to the priesthood. He risked his life and welfare to attend the underground seminary in Krakow run by the Archbishop. He proved to be an excellent student and soon had learned nearly twelve languages. While studying he was occasionally forced into hiding when the Nazis would crack down on potential uprisings but this was not the only risk he experienced. He endeavored to protect Jews from the Nazis even though he knew it could cost him his life if he were caught. Eventually, the Nazis would recede from Poland and roughly a year later Karol was ordained to the priesthood. Karol’s priestly calling was an excellent fit for him. He was lauded as a priest who genuinely loved the people of his parish. He rose through the hierarchy to bishop, archbishop, cardinal, and finally pope. As he became more and more involved in the leadership of the Roman Catholic church he found himself in the position to shape the stances and positions of the Church that he loved. 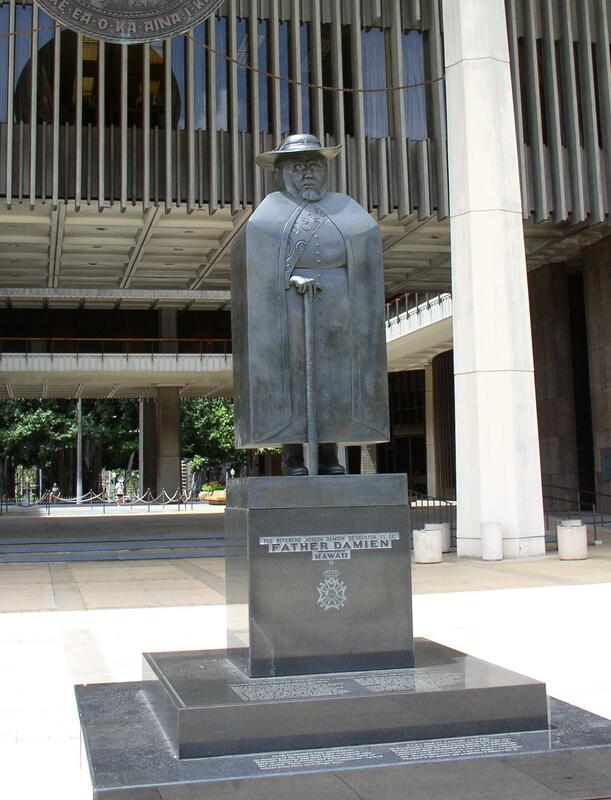 He was present at the Second Vatican Council and he was influential in the statement concerning religious freedom. Further, he helped craft the Roman Catholic stance on life and combating what he saw as a “culture of death” in the modern world. As pope he did something incredible:he made confession and penance on behalf of the whole Church. He apologized for the Church’s treatment of Galileo Galilei. He apologized for the Church’s role in slave trafficking in Africa. He apologized for the Roman Catholic executions and torturing of protestant Christians. He apologized to Muslims for the Crusades. He apologize for victims of inquisition. He apologized for the Church’s mistreatment and abuse of women. Perhaps most dearly, he apologized for the Church’s inactivity and silence during the Nazi atrocities. He insisted that apology was the way forward for the Church just as it was the way forward for individuals. 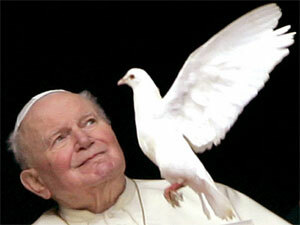 John Paul II died on the second of April in the year 2005. Though an assassination attempt had been made on his life–and he pardoned the man who shot him–it was not a bullet that took his life but simply old age and a hard life lived well. He was mourned with passion throughout the world by both Roman Catholics and non-Roman Catholics alike. John Paul II had traveled throughout the world and every place that he had touched–every place where he had knelt down to kiss the earth–cried out at the world’s great loss in his death. He had led the Church forward in reconciliation and growth that had been inspired in him by the need for love and forgiveness in a world that favored death and destruction.